Protection for Your Employees | Lone Worker | Answering Service — Intercon Messaging Inc.
Intercon Messaging is aware of the risks many employees encounter when working alone. Our Customer Service Representatives are trained on your company's specific procedures regarding checking-in and working alone, ensuring the safety and health of your employees. Sometimes the unexpected can lead to risky situations for your employees. Fires, thefts, car trouble, car accidents, equipment malfunction and workplace incidents always seem to rear their head at the worst possible time, and as an employer, you always seem to find out about them when it’s too late. Wouldn’t it be nice if someone were able to keep an eye on your employees while they were alone, ensuring their safety and limiting any problems your business may suffer due to injuries, accidents or setbacks? 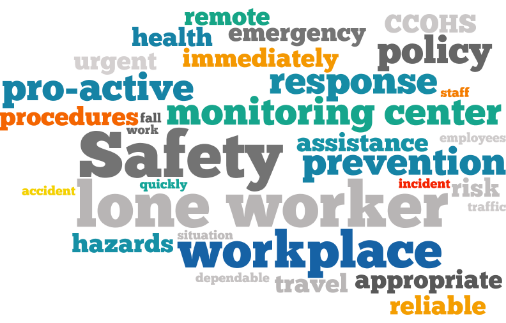 With our work alone employee monitoring system, your employees are never alone and you’ll know about any setbacks as soon as they happen, so that you can take appropriate action faster. Our team of educated customer service representatives will monitor your employees to ensure they are protected 24/7/365 days a year.